The Trading RPG is a game which includes as the primary or central mechanic a system of trading, selling or bartering goods. The player takes on the role of one of the parties in a trade. 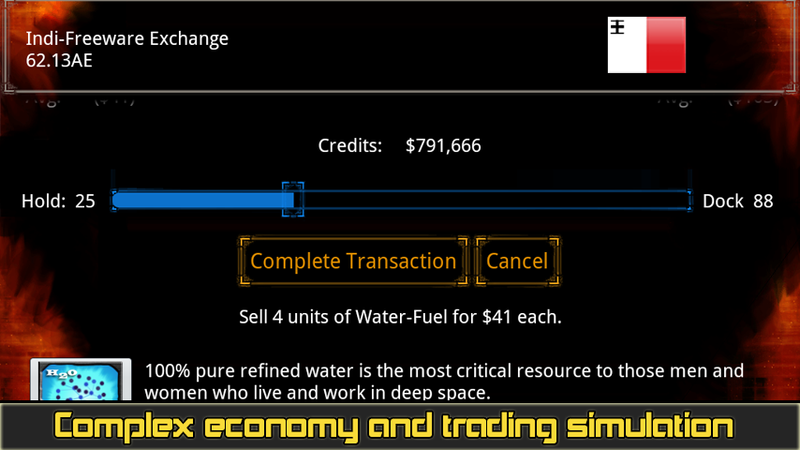 In a role playing trading game (compared to a nation building game) the player usually takes on the role of the smaller and more mobile member of the trade. The player is a merchant, traveler or cargo hauler who makes a profit moving, order or hording goods. 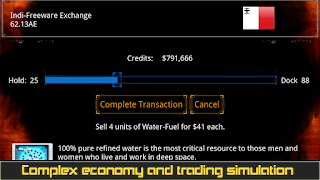 While many computer role playing games (RPG) include the mechanics necessary for buying and selling a large variety of goods, items and gear they are not trading RPG games. For me, as a player, the rpg trading game is defined by early 1990 classics like HyperSpeed, Elite Plus, Escape Velocity and Uncharted Waters. I happily mixed pirate and space trading games, enjoying both genres for different reasons. Trading RPG games mix exciting elements from both the role playing game and the pure economic game. Your character might become fantastically rich or might end up a dirt poor spice farmer on a fringe world. The game play is not only about the profits and the trades but about the highs and the lows of your character's career.